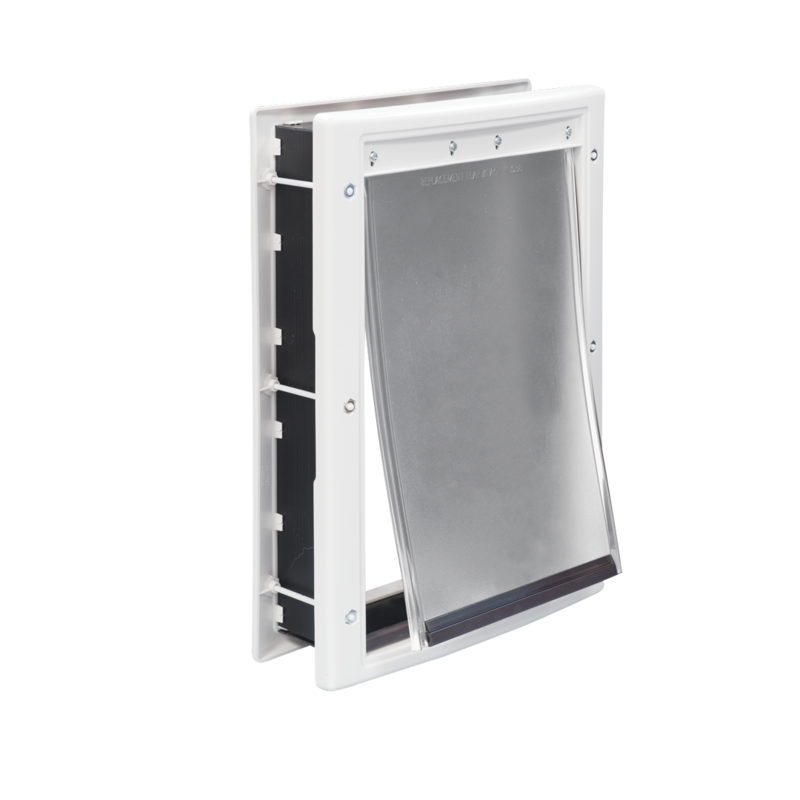 The Premier Pet™ Plastic Pet Door gives your pet the freedom to come and go, even when you are not at home. 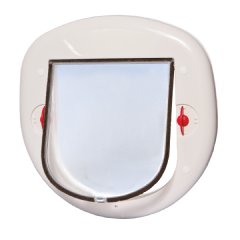 The flexible, tinted flap is easily pushed open by your cat or dog and falls back into place using a magnetic closure. 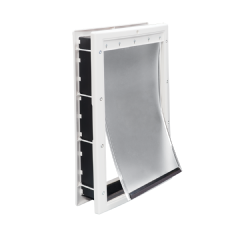 This helps keep the outside heat or cold out of your home, providing a higher level of energy efficiency. When it’s time for your pet to stay inside, simply snap the included closing cover onto the inside frame of the pet door. This simple DIY project will provide freedom your pet will love. Medium size door works best for pets 1-40 lb. with a flap opening size of 8 1/8 in. by 12 1/4 in.